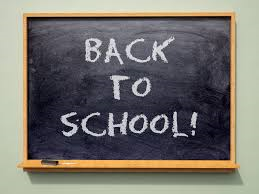 Where I live, and for many of you, today is the first day of school. 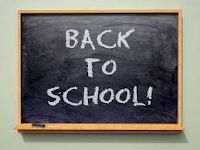 What that really means for me is that the summer is over sadly enough, and while kids go back to the books many businesses seem to gear back up and refocus on what needs to be done as well. This is not to say that the summer is a time where this wasn’t getting done but there always appears to be more vigor towards improving after the summer holiday season. It must be the crisp autumn air. This is generally asked so that your leaders can get ahead of these same questions being asked of them by business leaders down the line and allow IT to be able to address business executives with an intelligent response. Early in my career I was told that your boss (a term I dislike but use to differentiate from a true leader who operates on a different level) needs to be able to answer the “how are we doing” question in a simple way rather than having a blank stare and an “I don’t know” as a response. The trouble with this mentality is that sometimes we as the operations teams didn’t know either. This is why in my opinion the right level of reporting needs to be managed and then leveraged to be able to make improvements. The trouble is that we think that the reporting functionality manages itself and it really doesn’t. The business has teams dedicated to analytics after all to allow them to take their business to the next level so why don’t we manage our reporting better. The annual refresher isn’t really the way to go, neither is the ‘we have sunk to new lows and now need to desperately find a way to improve’ method. We need to start thinking, even in a small sense, of autumn in a quarterly way. If your company is putting out quarterly results and reports we should leverage these to see if there are areas where IT could be helping your business to improve or if there were ways in which IT has hindered the business in some way. Like an over eager mom in the stationary store we tend to go overboard in these back to school improvements and either gather too much information, or are not in a position to scrutinize the data to validate the accuracy, or both. Personally I have been in both situations. If you think a boss was angry about saying I don’t know, think how mad they get when the business tells them that their data is wrong or useless. This is why these quarterly exercises to review the data to make corrections in your operations are necessary. You may not have budget to do a large scale continual service improvement initiative right now but instituting a simple quarterly service management review against metrics will keep your team on point. This will ensure that when your teams make improvements you will be able to leverage that data for a business case to make getting budget for larger improvement initiatives down the line that much easier.